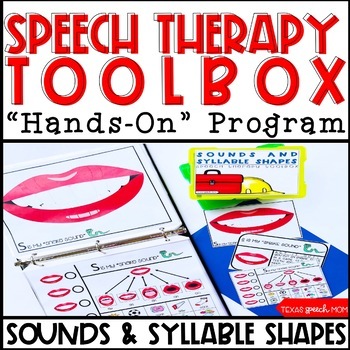 Speech Therapy Toolbox: Sound and Syllable Shapes was created to be a "one stop shop" for providing oversized visuals and easy to understand verbal cues for young children to understand during remediation for articulation, apraxia, or phonological processes. 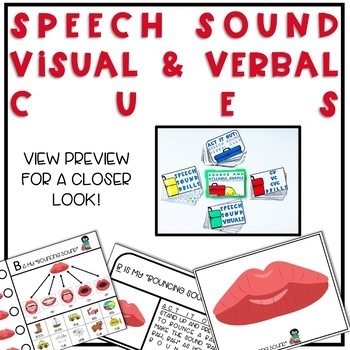 Oversized visuals (speech mouth), drills to target isolation, speech sound syllable webs, "act it out" cards that are easy for children to understand, and syllable shape visual drills CV, VC, CVC. (perfect for initial and final consonant deletion). - 20 oversized visual cues: each speech sound has a large mouth to use as a visual cue. This is especially helpful if your child struggles to look at your mouth! The mega sized mouth always gets their attention. - 20 "Act It Out" cards with fun names to use as a verbal cue for each sound. They are easy to understand and fun to act out! 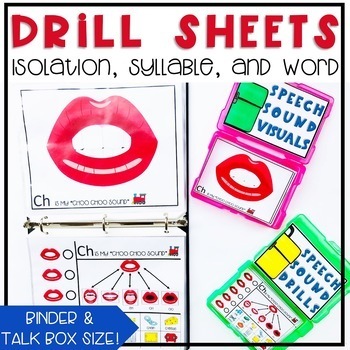 - 20 Speech Sound Drill Sheets: target the speech sound in isolation, syllable, and word level all on one sheet. This is also a great warm up before starting a speech therapy session. The syllable webs target early developing vowels. 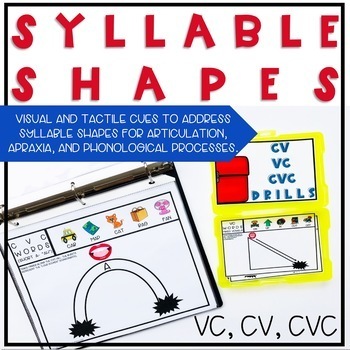 - 13 Syllable Shape Visual Drills: VC, CV, VCV visuals include short and long vowel. This is extremely helpful when working with apraxia or phonological processes of final consonant deletion or initial consonant deletion. Sound included: b, ch, d, f, g, h, j, k, l, m, n, p, r, s, sh, t, th, v, w, z. View the preview before purchasing and please email me at texasspeechmom@gmail.com with any questions you might have! Click here: You might be interested in some other no prep/print and go activities! Click here: You might be interested in some articulation activities!